You say you’ve never been to a TASP Fantasy Photo Fund Raiser before? Well, you don’t know what you and your best friend have been missing! Just a $10 donation yields a 4″x6″ framed keepsake photo of your pet, your kid or even your granny, against one of over 20 different digital backgrounds. Each month a different theme ……Beach Party, Patriotic, Back to School, Halloween, Thanksgiving, Christmas, and so many more! And since TASP is an all-volunteer outfit, your donation translates 100% into services for local pets in need. Come once and you’ll be hooked! So c’mon out and enjoy the fun and save animals at the same time. It’s a win:win! The Animal Support Project is part of the “GE Foundation Matching Gifts Program”. If you are a donor through that program please select “The Animal Support Project” as your choice for matching gifts. Thank you. 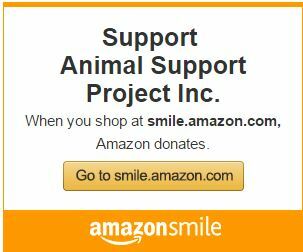 The Animal Support Project is part of the “Lydall Matching Gifts Program”. If you are a donor through that program please select “The Animal Support Project” as your choice for matching gifts. Thank you. Copyright © 2013-2019 | The Animal Support Project Inc.